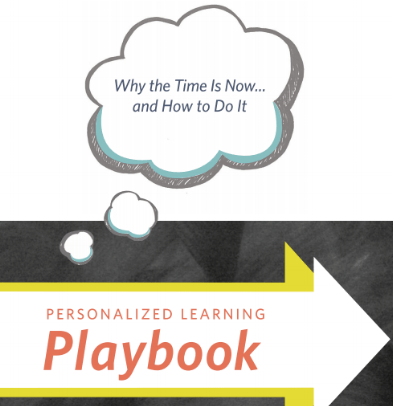 Personalized learning represents a shift in how we teach students, a reflection of our changing educational landscape, and an acknowledgement that the world we must prepare our students for is different than the one we grew up in. One of the biggest ways education has already changed is in the content and tools students engage with. This blog series is made up of interviews with education leaders who work with digital content, curricular resources, and instructional tools. It is meant to highlight ideas and perspectives we aren’t normally exposed to. In doing so, this series is meant to spark new ideas, discussions, and ultimately empower teachers and leaders. There is a scene from the recent Star Trek movie reboot of a young alien named Spock at school. Spock and his classmates each stand in their own semi-circular pod, surrounded by screens while an automated “teacher” prompts them with questions. This eerie scene is what some fear will be the future of schooling. Students staring at screens, by themselves, while an artificial intelligence program delivers content and assessments. There is no doubt that digital programs, particularly adaptive ones, can be powerful tools in the classroom. However, that is all a digital program will ever be – a tool. A computer program can never replace a teacher. If anything, technology is making the role of teachers even more important and their job more complex. Unexpected pairings are a common feature throughout history and culture; Dharma and Greg, Ruth Bader Ginsburg and Antonin Scalia, Frog and Toad, Martha Stewart and Snoop Dogg. Opposites attract when they have a shared purpose and their strengths complement one another. They can approach problems with a greater set of ideas and a broader range of perspectives. At first glance, personalized learning and high-quality curriculum may seem like opposing movements. However, they both aim to deepen student learning and approach that task with a variety of strategies that, when paired, are a powerful set of tools.